This Grilled Skirt Steak makes an easy and quick meal for any night of the week. The marinade gives it a great flavor that will keep you coming back for more. 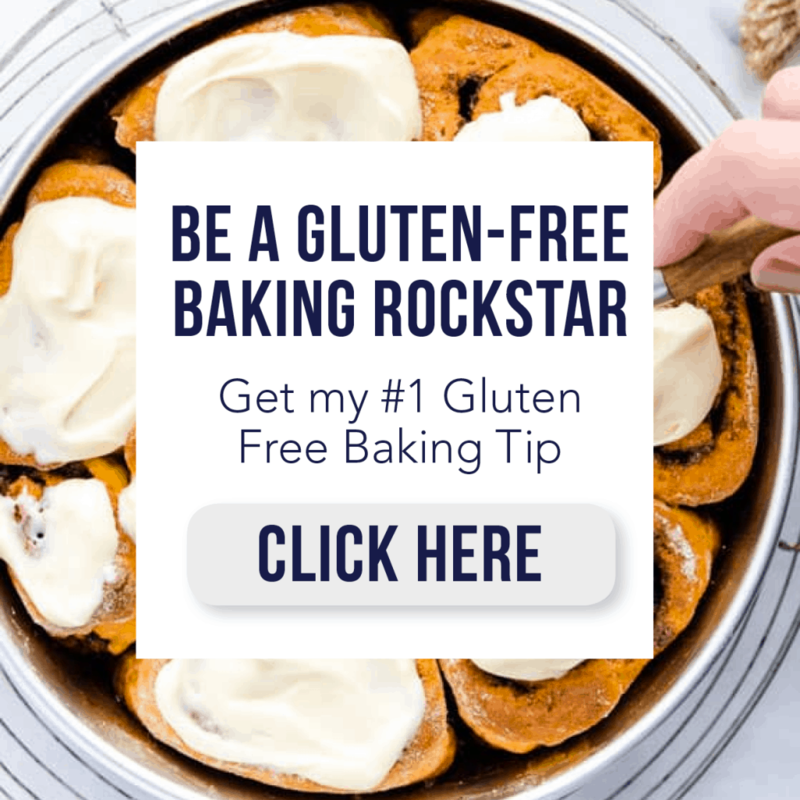 This post has been sponsored by Honest Cooking in association with Santa Rita Wines and Badia Spices. All opinions are 100% mine. In my house, steak is a must as far as summer meals go. It’s easy, filling, and so delicious. My favorite steak is the ribeye but they’re so, so expensive we rarely have them. Instead, I often buy what’s on sale or even what’s marked down because it needs to be cooked within a day or two. That’s how I happened to come upon today’s meat – the grilled skirt steak. It’s a cut of meat that I almost never get but one that I need to keep in the rotation – it’s so good! 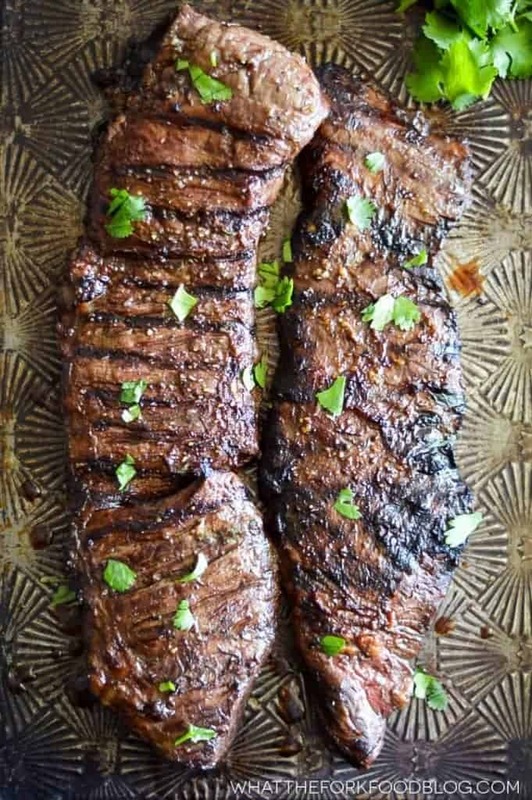 Skirt steak can be tough but it’s great for marinating. 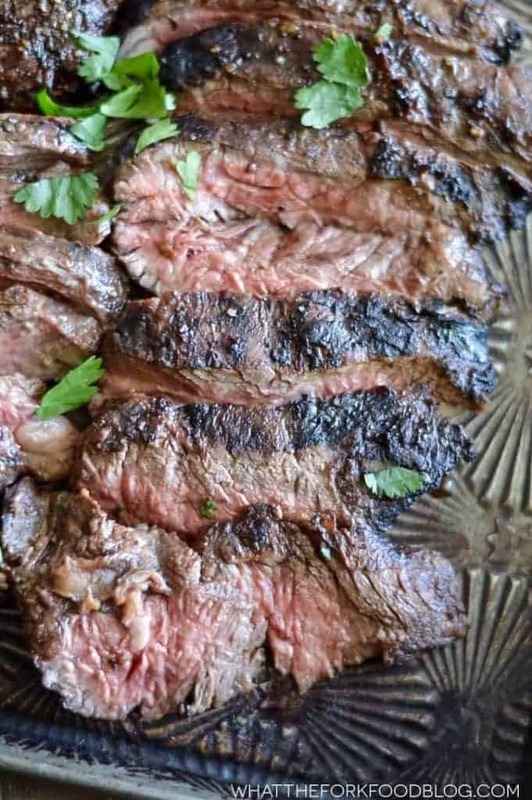 I’ve included my absolute favorite steak marinade in the recipe today, which is one I grew up eating. Growing up, we almost always had it on London Broil; which was another steak that needed to be marinated for a long time. I cooked the skirt steak to medium so it’s still nice and red in the center. 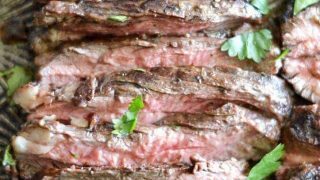 Skirt steak is best when cooked medium-rare to medium, no more! It’s a very thin steak so it cooks VERY quickly on a hot grill – I’m talking 3-4 minutes per side TOPS. Yes, you read that correctly: 3-4 minutes per side for a total of 6-8 minutes. Fastest cooking dinner ever! 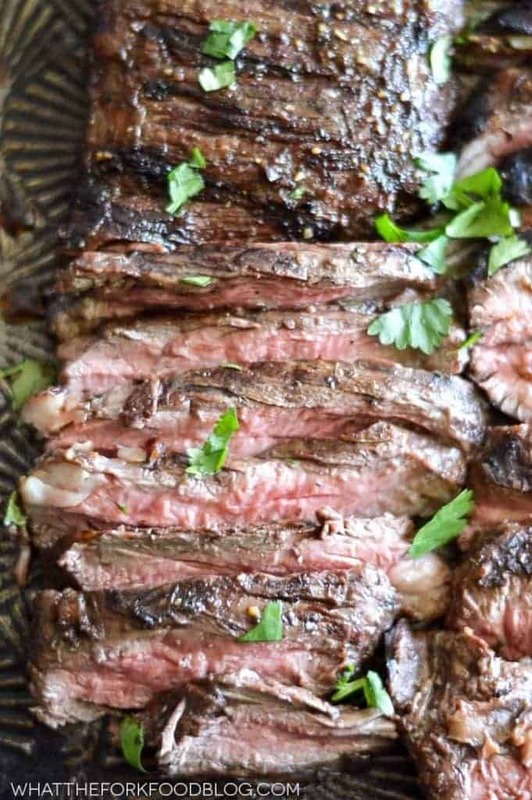 While this grilled skirt steak cooks extremely fast, you do need to marinate it for quite a while. For the ultimate flavor, I like to marinate it for 8 hours or even overnight. It needs AT LEAST 4 hours – and I’m talking bare minimum or or else you won’t impart that delicious marinade flavor into the meat. I also hit my steaks up with some Badia Complete Seasoning right as I put them on the grill for an extra boost of flavor – so good! My friend Sandi at Fearless Dining made these delicious Pizza Stuffed Hasselback Potatoes that I think would go perfectly with this steak! 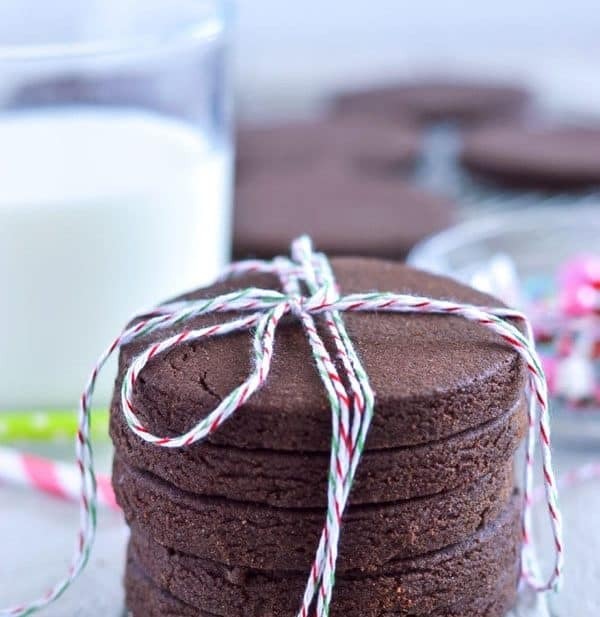 They are kid friendly too and even the adults will love them! Today I paired my steak with a Hero’s Blend red Santa Rita 120 wine, which is a Chilean wine that I LOVE! The red blend that I received pairs really well with grilled red meat and stewed meats and would go great with my mini bbq meatloaf, bbq short ribs, or braised Italian meatballs. Their Sauvignon Blanc would go great with my grilled garlic shrimp, my grilled maple mustard chicken, or even my grilled bacon wrapped chicken. 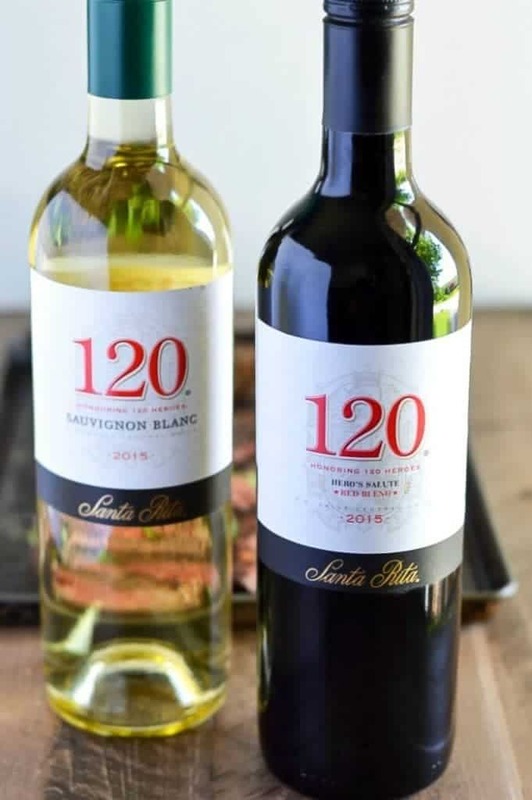 Both wines are great for bbq’s and any summer party you’re attending. And speaking of summer parties, you might need a great summer side dish to serve with this. Cindy, from Vegetarian Mamma has a great recipe for deli style potato salad that would be perfect. Enjoy! P.S. This steak is fabulous left over. Slice it thinly and against the grain and you’ll have a perfectly tender, easy to eat steak that you can toss on top of salads. Place the skirt steak in a large resealable bag or glass baking dish. Whisk together the oil, steak sauce, sherry, red wine vinegar, and Worcestershire sauce. Pour the marinade over the steak, coating all of the meat. Refrigerate 6-8 hours or overnight. Preheat grill to 500 degrees. Clean and oil the grates then place the steak over the hot part of the grill and sprinkle the steak with the seasoning salt. Grill 3-4 minutes per side or until the internal temperature reaches 130-135 degrees. When the steak is done, let it rest on a platter for 10-15 minutes before cutting. To serve, slice the steak thinly and against the grain. Prep and cook time does not include marinading time. We have been looking for new grill recipes! This looks perfect! I love steaks like this. Great summer dinner! You have cooked this to perfection! I am always intimidated by steak because my husband prefers his on the rarer side. The fact that it can be cooked so quickly is just an added bonus! Skirt steak is such a flavorful cut. This looks perfectly cooked! Yay for grilling season! This steak looks crazy good! This looks perfect! Great flavors and I love that you used avocado oil, that’s what I use for high heat cooking. Wow! 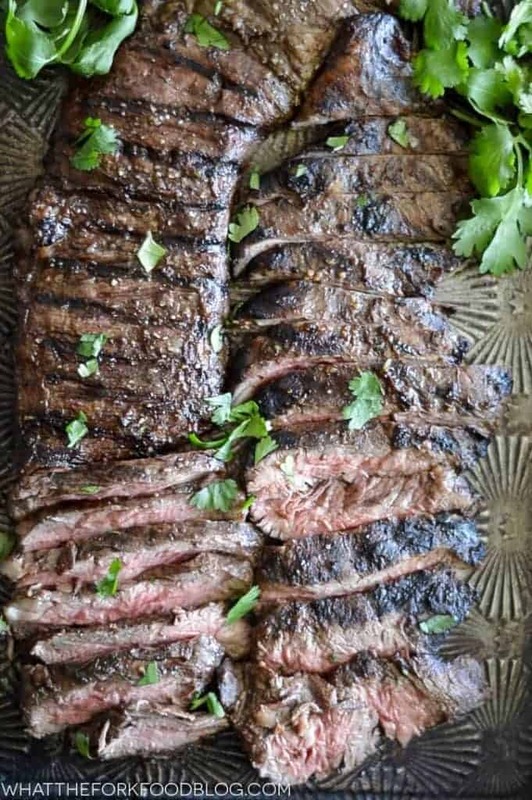 This skirt steak looks amazing! Juicy and tender….get in my belly! I just have to say I am really looking forward to both of those wines. No kidding. Lovely pics too! I love a good skirt steak! Great tips! This is the juiciest grilled steak ever! That marinade…. YUM! Looks really good! My concern with sort steak is the tenderness. I’m going to try your approach. Thanks for sharing. Oh my. That is making my mouth water. Definitely keeping this in mind for the next time I have steak on hand! 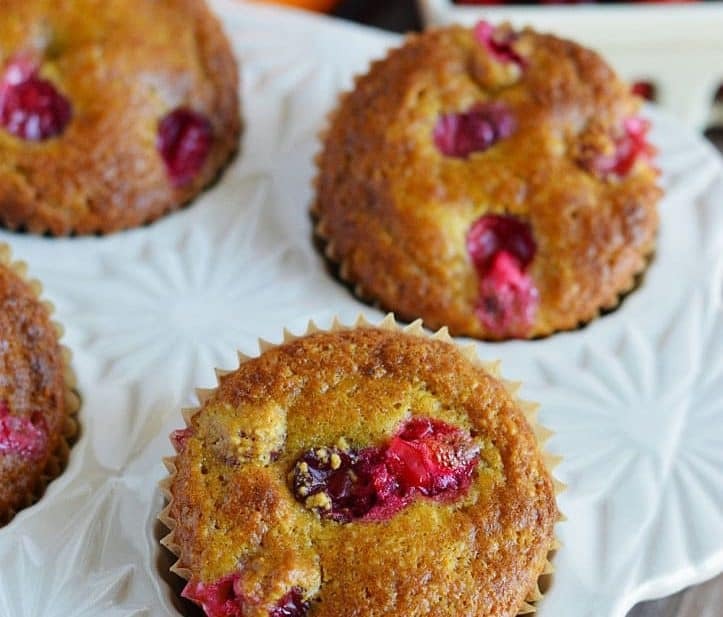 Thanks so much for sharing it with us at Allergy Free Thursdays, Sharon! This looks amazing! I am featuring it tonight on Allergy Free Thursdays. Can’t wait to see what you share this week! How easy is that?! This looks sooo good!